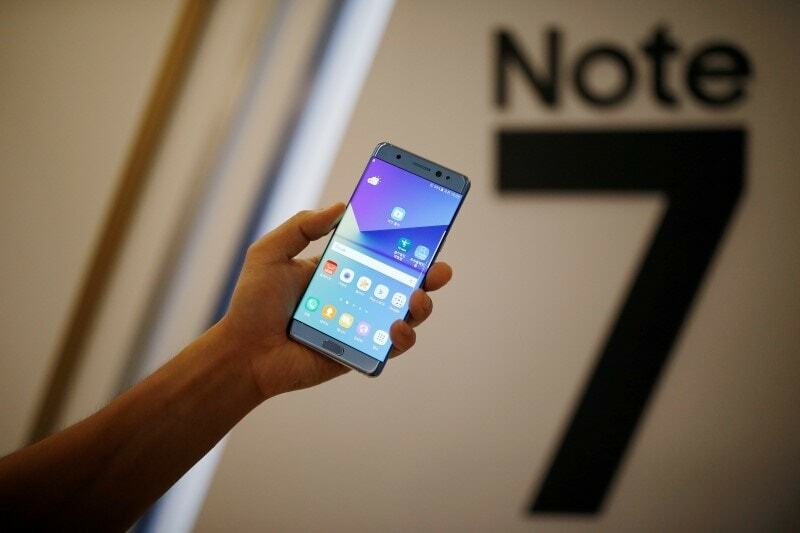 The move follows multiple reports that even the newly released Galaxy Note 7 phones, which had been offered as replacements for the recalled fire-prone phones, also overheated or caught fire. But Samsung fell short of confirming or denying earlier media reports that it had halted production. Earlier in the day, South Korea’s Yonhap news agency was first to report that Galaxy Note 7 production was suspended. The move came after decisions by US phone retailers AT&T and T-Mobile to stop giving new Galaxy Note 7 replacement smartphones to consumers. Samsung and the US authorities are investigating reports of the new Note 7 replacement smartphone catching fire but the move poses fresh trouble for Samsung because it had promised that its new Note 7 with a green battery icon is safe. The reports of replacement phones catching fire raise doubts whether the battery is the only problem in the fire-prone smartphone as Samsung initially said. When it issued a global recall on September 2, Samsung blamed the batteries supplied by one of its two battery suppliers and assured consumers that other parts of the smartphones were fine.